Thomas records his enjoyment of taking part in a shooting party with friends. He was a keen shot and often met with friends and neighbours on his own land and elsewhere to shoot various kinds of game. Thomas frequently records what he is reading, favouring histories and biographies over fiction for the most part. 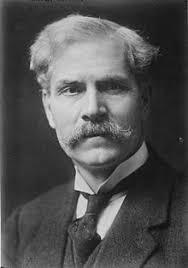 Here he gives his views on Ramsay MacDonald, a man he evidently has no high opinion of. Macdonald was co-founder of the Labour Party and Prime Minister of Great Britain from 1929 to 1935. He was a pacifist and followed a policy of appeasement with Germany while he was in power. Thomas clearly had little time for this approach and blames MacDonald for Britain’s slowness in rearming after the Great War. You can find out more about MacDonald here. Thomas also mentions Franco being ‘at the gate of Barcelona’. This is a reference to General Francisco Franco and the end of the Spanish Civil War. 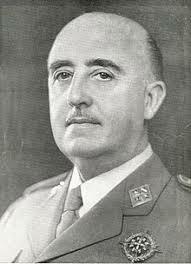 After his defeat of the Republican forces in Spain, Franco established a military dictatorship there and set about systematically repressing his political opponents and any dissenters to his regime. During the Second World War, Franco’s regime remained broadly neutral although he did support the Axis powers in principle. You can find out more about the life of General Franco here. The diaries at this time are full of conjecture as to whether Hitler wants to go to war. Many people in Britain were very opposed to becoming involved in a further conflict only 20 years after the First World War and there was always hope that the international situation could be settled without bloodshed right up to the outbreak of war in September.